Submitted by RAFIQ SHAIKH on October 28, 2011 - 4:32pm. My name is MOHAMMED RAFIQ SHAIKH. I too still have this class ( classic ) photo. I am standing in the second row from the top in the 3rd place from the left of the picture. The first guy standing in the second row on my right side is ALTAF CONTRACTOR. 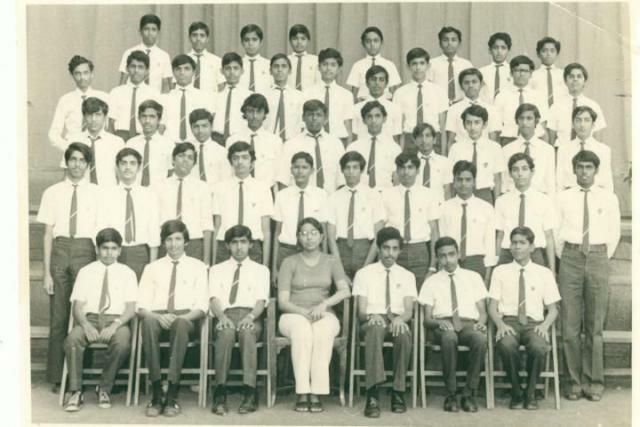 The 4th guy standing in the third row from left is MILIND PATHARE and the 7th guy (short one) in the same row is SHAH ......... Our class teacher was Ms. Bokadwalla.. Ryberg Henriques .......... are you the one standing all alone in the centre of the top row..? ? ? Submitted by alan dsilva on September 29, 2012 - 4:25pm. I am in Spain, Madrid since 1985 , but do visit India every year. Lets keep in touch and hope we can contact more of our classmates through this web. Submitted by DDS on October 22, 2010 - 12:31pm. nice post Ryberg. I can recognise Carmo, Yusuf, Denzil, Veejon, Shabir and that is you right at the back?